Wizards Jumping Castles lets me bring fun to every special occasion in your child’s life. There are jumping castles for hire for every occasion, catering for a wide range of ages and a huge variety of tastes! Wizards Jumping Castles aims to let kids enjoy themselves in a safe, familiar environment. Surrounded by watchful parents, kids can bounce around all day long. Our jumping castles are also reasonably priced, to bring that extra-special touch to every party budget. They can bounce around to their heart’s content. Booking a Wizards Jumping Castle is choosing less work for you and loads more fun for every child. 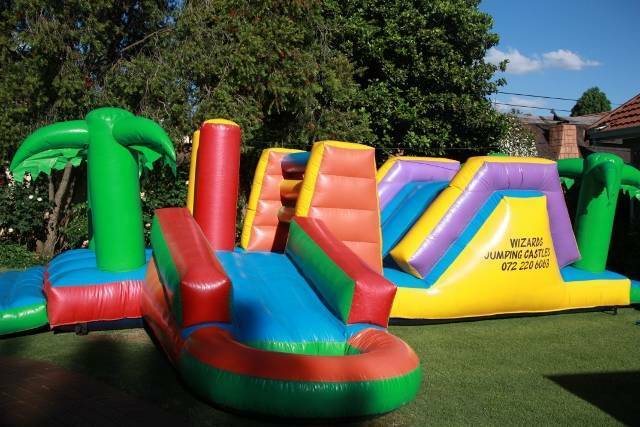 Our jumping castles are reasonably priced and bring that extra special touch to any party. Wizards Jumping Castles has been selected as one of our Most Popular Kids Activities!